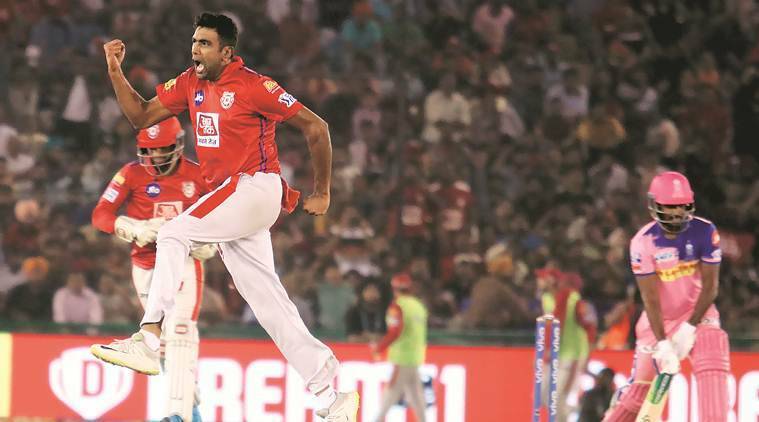 IPL 2019: Skipper R Ashwin takes two wickets after hitting a breezy 17 off 4 to help Kings XI Punjab move into top-4 of IPL standings. LiveKKR vs RCB Predicted Playing 11, IPL 2019 Live Updates: Can Kolkata end their losing run? Synopsis: Kings XI have a new kid on the block. Unadkat’s profligacy and Rahane’s mistake cost Royals dear. Before the match, Arshdeep Singh received his IPL cap from Kings XI Punjab skipper R Ashwin. And on his debut, the left-arm seamer stood up to be counted. He moved the ball both ways and more importantly, he removed Jos Buttler. In Steve Smith and Ben Stokes’s absence, that was half the Rajasthan Royals batting gone, as they chased 183 runs for victory. The 20-year-old also bowled the 19th over, with the equation reading 37 required from 12 balls. He removed Ajinkya Rahane with a lovely slower delivery to all but seal the contest. Two sixes from Stuart Binny in that over damaged Singh’s figures a bit. Still, it was a very impressive debut for the youngster. Arshdeep Singh got the key wicket of Jos Buttler to put the royals under pressure. Till the 15th over, Royals were going steady. But Ashwin bowled a very good 16th over, conceding only a few singles and dismissing Rahul Tripathi. The latter was anchoring the chase and had reached his half-century. Things went downhill after his departure. Rahane at No. 4 failed to provide the required impetus. Ashton Turner on his IPL debut got a golden duck. At the dug-out, a sullen-faced Smith looked on. Kings XI returned to winning ways, beating Royals by 12 runs. No disrespect to Ashwin and company, but at the end, the extra runs that the visitors conceded because of their bowling profligacy and poor planning proved to be the difference. Ashwin bagged the Man of the Match award for his cameo – 17 not out off four balls – at the death followed by 2/24 in four overs. At Rs 11.5 crore, Jaydev Unadkat was the costliest Indian buy at the 2018 IPL. This year Royals lowered the amount, but still bought back the left-arm seamer for Rs 8.4 crore. In 15 matches last year, Unadkat had accounted for 11 wickets at an economy rate of 9.65. In six matches so far this term, he has taken five wickets at an economy rate of 11. Unadkat continues to be low value for money. On Tuesday, at Mohali, Unadkat gave away 48 runs in his four overs and took just one wicket. Kings XI Punjab switched gears as soon as he returned for his second spell. The total they posted – 182/6 – was highest at Mohali in this edition of the IPL. Royals skipper, Rahane, too, must shoulder his share of the blame. After winning the toss and electing to bowl first, Royals had kept their rivals in check, partly because they dismissed Chris Gayle early and also that KL Rahul was seemingly in a stupor. His partnership was Mayank Agarwal was a study in contrasts. While India’s Test opener was gung-ho – he got going with a six off Ish Sodhi and then targeted Shreyas Gopal – India’s reserve opener for the upcoming World Cup had been struggling to rotate the strike. In a 29-run second wicket partnership between Agarwal and Rahul, the former contributed 26 runs off 12 balls, while Rahul had three off six deliveries. Agarwal eventually played one shot too many and was holed out to long-on. Rahul at the other end was still going slow. Till the 10th over during Kings XI’s innings, the opener had a strike-rate of 45. He started to up the ante, when Unadkat returned in the 12th over. 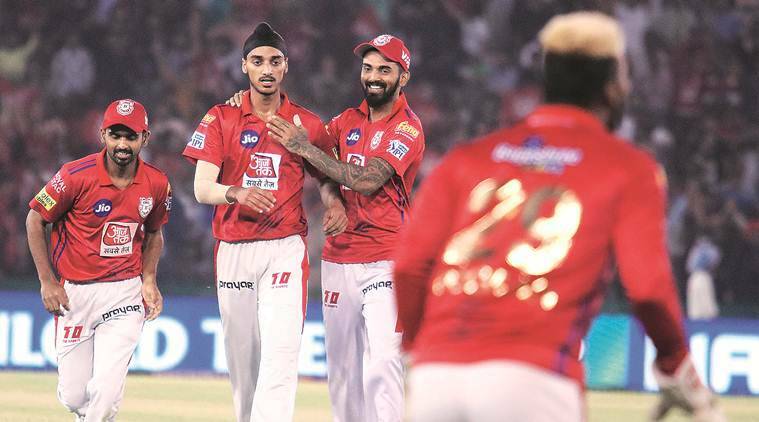 But the entire complexion of the Kings XI innings changed in the space of two overs, when Ish Sodhi in his first game of the IPL this term conceded 19 runs followed by Unadkat’s profligacy that saw Rahul hit him for a four and a six, while David Miller taking another maximum to make it a 20-run over. Rahul and Miller already had an unbroken 49-run partnership for the third wicket and Rahane missed a trick by not bringing back his best bowler, Jofra Archer, at that point. When the fast bowler came back for his second spell, he cleaned up Miller in his second ball. Archer had overstepped alright and Miller survived, but it exposed Rahane’s mistake, which allowed the hosts an elbow room. Rahul took the opportunity to improve his strike-rate. He made 52 off 47 deliveries. As for Archer, he has put the England selectors under serious pressure, should they count the IPL performance. On the eve of the England’s World Cup squad selection, the 24-year-old Barbados-born fast-bowling allrounder, who now carries a British passport, shone bright with the ball. He dismissed Gayle in his first spell, bowling an off-cutter and squaring up the self-styled ‘Universe Boss’. Then, in the penultimate over, he accounted for Nicholas Pooran and Mandeep Singh inside three deliveries and conceded only three runs. Archer returned with 3/15 from four overs. But he was a lone-ranger. Dhawal Kulkarni gave away 20 runs in the final over, when Ashwin outsmarted him.